Do I Need Sunscreen When it’s Cold and Cloudy Outside? Now that winter is just around the corner, you may be adjusting your skin care routine, which is perfectly fine so long as you still include sunscreen. Why is that? Well, continue reading to learn what you need to know about winter sun protection, including tips on choosing and applying sunblock lotion! Many people assume that summer is the only season that requires outdoor protection from UV-rays, however, sun protection should be a year-round effort. 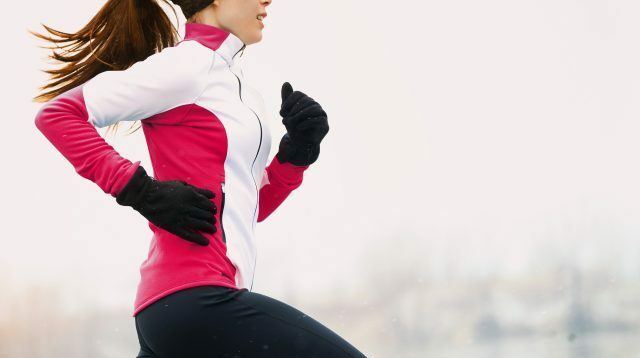 Most people associate sunburns with hot summer weather, but the truth is that your skin can also burn in cold, overcast weather. You see, the sun emits two types of rays: UVB and UVA rays. Both of these UV-rays pass through clouds, mist, and fog, delivering an unnoticeable level of UV exposure. This is a concern for those without any sun protection on their skin since the potential to burn from overexposure is much higher. As a result, some of the worst sunburns happen when least expected. Furthermore, UVA rays are not just from direct sun; they can also come from natural light through glass, windows, clouds, mist, and fog. This is why it is strongly recommended to incorporate sun protection into your daily skin care regime. The ultra violet radiation emitted by the sun is what changes the color of your skin, either into a tan or a burn. UVB rays are the immediate cause of skin color changes, while UVA rays are the ones that penetrate deep into the skin. But UVA rays are not just from direct sun, they are also a product of natural light through glass, windows, clouds, mist, and fog. They are also the same rays used in tanning beds. Depending on the type of cloud, only a certain level of UVA rays emit through and penetrate the skin. Dark grey clouds allow less UVA exposure than white, fluffy ones. Either way, sunscreen is a must. On days with dark clouds, a milder sunscreen will do, but on days with fluffy white clouds, choose a stronger sunblock. And don’t forget that elevation has an effect on sun exposure too! Regardless of which type of clouds the day has in store, if you are going to be higher up in elevation, say on a mountain or hills, then you will need a stronger sunblock and more coverage. The higher you are, the close you are to the sun’s UVA rays, which is why it makes sense that you are more vulnerable to a sunburn at higher elevations. The same goes for participating in outdoor winter activities. You can still burn in these conditions, so sufficient coverage is a must. Protect Your Skin With a Base Tan! Call Broad Ripple Tans at 317-257-8262 to ask us about our Indianapolis tanning salon and specials this month. We offer a wide selection of tanning beds, products, lotions, packages, and of course, air brush spray tanning services! On top of neighborhood prices, we also offer tanning coupons and discounts all month long! Request a free estimate, today. This entry was posted in Skin Care and tagged Indianapolis tanning salon, skin care tips, sun protection winter, sunscreen cloudy day, sunscreen tips, tanning skin care, UVA rays. Bookmark the permalink.